Once you have created your first tests in Robot Framework, next step is to include those tests in your Continuous Integration (CI) System. Here I will show the different steps to do so in Jenkins. Once the job is created, we configure it. This way your tests will be launched either if there is a new build of the SUT or if your tests have changed. Second trigger is relevant because some modifications in your tests may have broken some of them, and you don’t want to wait for the next build of the SUT to find it out. In other words, when a test fails in Jenkins, it is good to know if this is a consequence of a change in the SUT of a change in the tests (if both changed, analysis will be tricker). get the artefact from the project that build your SUT so that your SUT is available from your Jenkins’ workspace where the Robot tests will be run. To do so you can either use the Jenkins Copy Artifact Plugin or write a piece of Batch/Shell script. and all the –variable, –include, –exclude etc. that you use to customise you run. One noteworthy command line option in the context of a CI server is –NoStatusRC, which force Robot’s return code to zero even when there is test that fails. 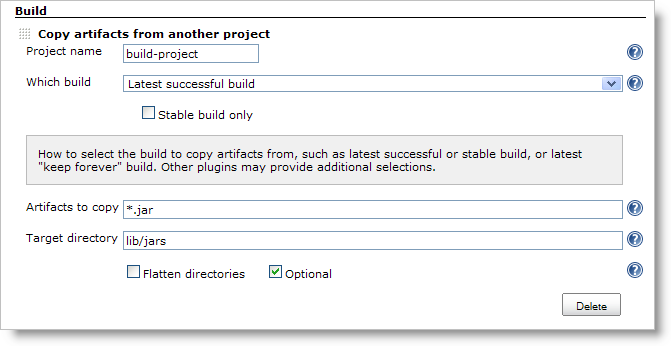 This way the status of the Jenkins build can be driven by Robot Jenkins Plugin like you will see in final step. so if your SUT or your tests have some essential feature (covered in the smoke test) broken, you will save your machine a “full test”, and, more important, the team have a quicker feedback on the quality of the SUT build. This entry was posted in Uncategorized and tagged ci, jenkins, RobotFramework by laurentbristiel. Bookmark the permalink. I have tried this localy where my pybot was installed. I was wondering where do I install it if jenkins is on a remote server and my tests are placed in git. Do I ssh on jenkins server and install Python – robot framework? If Jenkins is on remote server then you will have to install Python and Robot Framework on this remote server (connect via SSH is one good way to do it). But more often, you would have different machines/VM, one for Jenkins Server and other to execute the jobs (slaves). In that case you would have to install Python/Robot on your slaves. Any idea on how to setup the RF in Bamboo? I have no experience with Bamboo so I can not help you. But the question was raised in Robot Framework mailing-list. Thanks for the nice introduction laurent! we will need some more informations to help you. What is your test and what is failure? what response do you get? I think you need something after the -d which tells RobotFramework where to create your output files. is considered relative to that unless it is absolute. Hi I have a question regarding setting up my jobs on my Local Jenkins. Do I have to setup my workspace for it to work? I always setup the batch windows command to change the directory to where I place my Robot Framework scripts. I notice that when I do this and build the job it always fails because the filemask output xml cannot be found in the directory. Am not sure what I’m doing wrong. Is there something else I should configure for my tests to run smoothly? 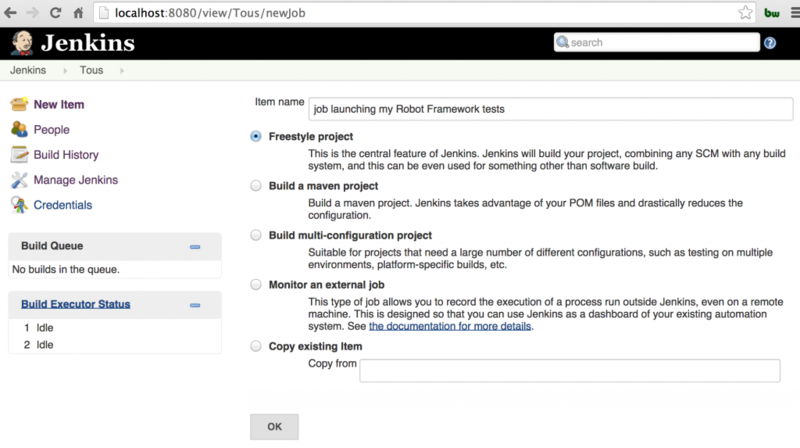 Do you use Jenkins-Robot Plugin? If so, you have to set up “Directory of Robot output”. Thanks. Should I put an absolute directory for this? I placed a directory but it still failed. Also for some reason the windows batch command doesn’t seem to recognize pybot even when I installed the Robot Framework plugin. Firstly thank you for this post Laurent. I have a question about Robot Result Plugin. I’ve integrated it in my Jenkins automation job (Jenkins works on AWS). When I tried to open report.html from my local pc I get that error everytime. Do you have any iade about that? sorry for the (very) late response. Where you able to fix your problem. are you trying to open the report from the Jenkins job page? Do you have the Jenkins-Robot plugin installed? Thanks for your all efforts, here I am stuck with my Jenkins + Robot Framwork configuration. I have integrate my Automation script with Jenkins but it is not up and running also I am not getting any error code , After running I am just getting below message. “unstable” is what you get when you have some test failures. Are the test executed? Are some of the test failing? I want to use Jenkins just to initiate my Robotframework tests. I am not using any version control, what I have is a folder structure which contains my Robot scripts. I want to trigger these tests nightly at a fixed time using jenkins and generate/view reports. Can you please advise? then you don’t need to have the Version Control phase, and you can just launch a script in your Jenkins Job that launches “pybot” on your Jenkins slave. Iam new to OpenShift CI/CD. its contains jenkins/gogs/nexas/sonarcube(pipeline). i need this Robot Framework plugin for our project requirement. I have my Jenkins sitting on remote, and we do not have admin rights to install robot and selenium, but python is available on the Jenkins server. In this case, how do I achieve my execution? I want to run robot framework script on Centos server where Jenkins is installed but Python and Robot framework is not installed. 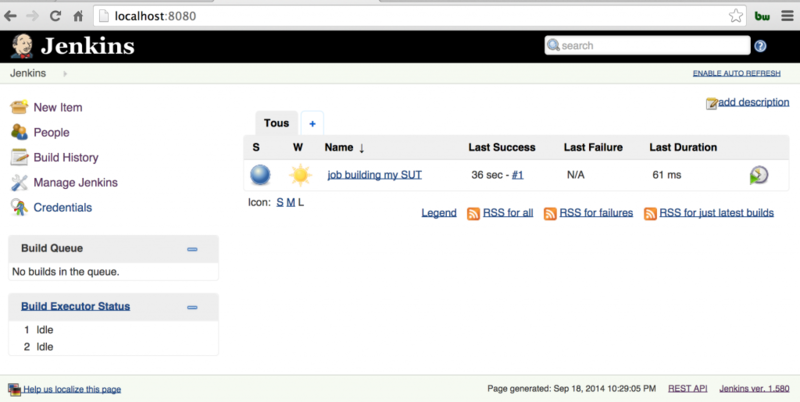 Without installing Python and Robot framework on Centos server is it possible that I can run robot script in Jenkins? if not, could you please provide me steps to install Python and Robot Framework on Centos. If you want to run your Robot Framework tests on your Centos Server you will need to install Python and Robot on this machine. I need to run my tests on Jenkins remote server(ubuntu). I understand that i have to download python and Robot on the server. How about all the other libraries that i an using in my tests? These libraries might change as we build more test so how does jenkin server know when to install what libraries? Also how do we manage selenium drivers on Jenkins server? Do i need to update drivers and libraries with every test run? If you are using default Robot libraries you don’t have to download them, they come with Robot. If you are using other Python libraries (e.g. Requests) you will have to install them on your Ubuntu box (using “pip” usually). This whole install process should be included in a script that will be run before your tests are run. So that you download/install everything you need once before launching all the tests. Hi, and thanks for useful post! Have you ever tried/used Slack upload file plugin? If yes, did you manage to get it do the job? Hi ! Please help me out. I install Robot framework plugin and it was successful. But I am unable to see Robot options in sidepanel or post build steps.﻿ What am I doing wrong? Hi.. I have multiple tests placed within folders. I want to initiate a bulk run(Single folder which contains multiple folder with multiple test suites) for my robot scripts from jenkins. how can do it?